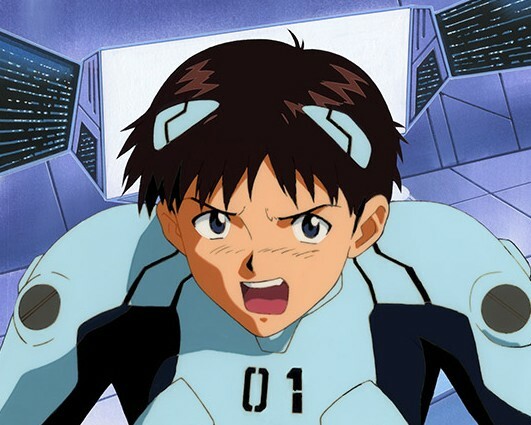 Shinji enduring a stressful moment in his plug suit. I grabbed this cel both for the classic Evangelion "oh noes!" expression and the costume. 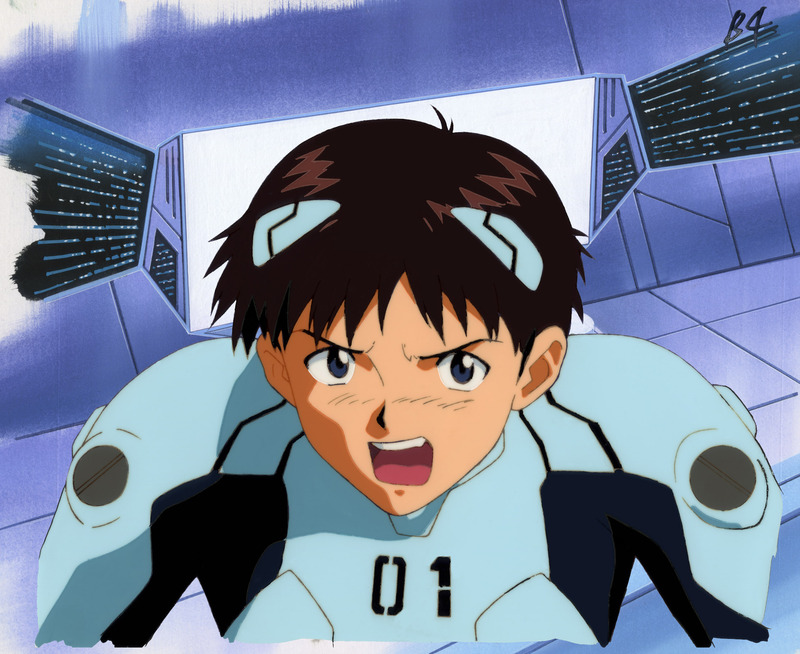 Since I already had a cel showing Shinji in his school clothes I wanted one showing him in his plug suit.